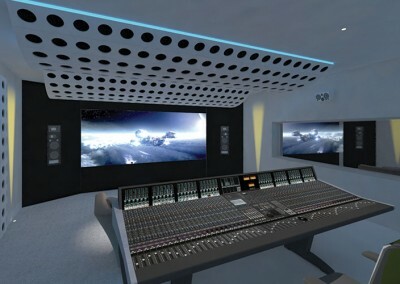 Smart Studio delivers a number of unique advantages over the traditional studio design/build system. Yurt. 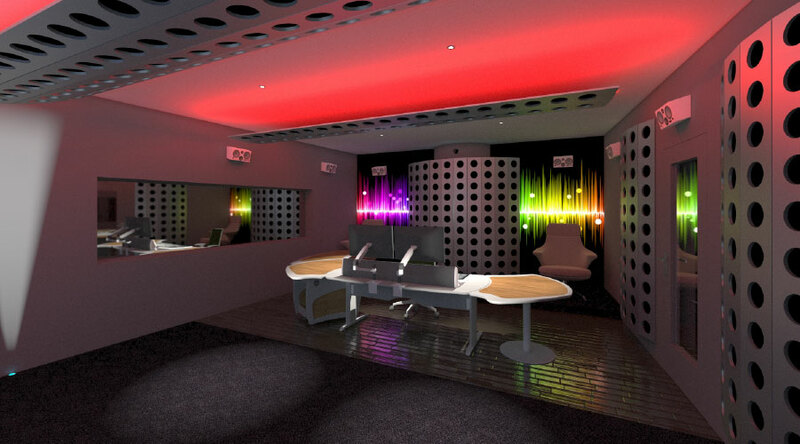 Smart Studio™ has been developed to reduce on-site build time of studios dramatically. This ensures that you have your new facility up and running in the shortest possible time. The reduction of on-site build time means you can bring new facility on line much more quickly thus generating income to pay for the whole exercise. It makes sense! 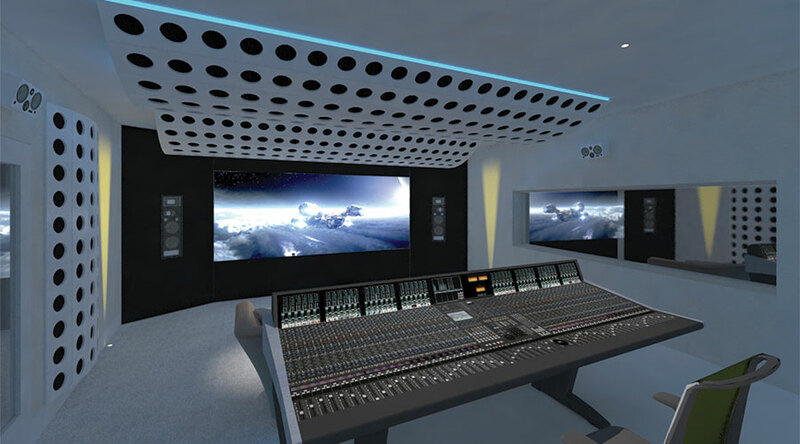 With our multi-disciplinary approach, Smart Studio™ ensures that all essential aspects of your new facility build are addressed including studio service and system integration. Integrated cable management and ultra-low noise air-con ducting is incorporated within the body of each Smart Studio™ module. 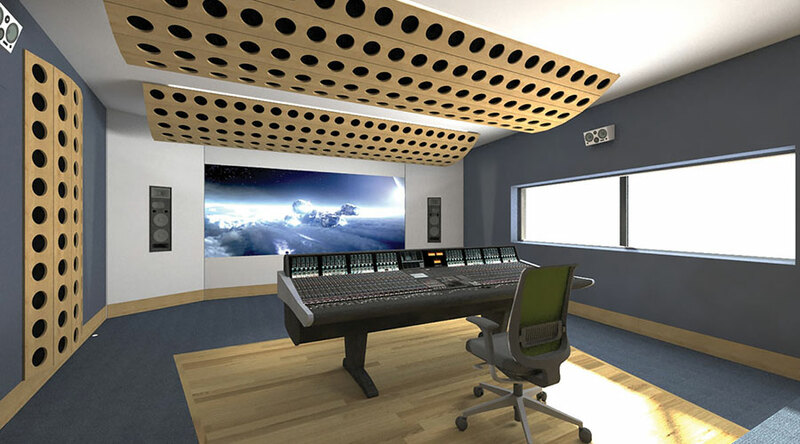 This ensures that these vital services are incorporated into your studio from the start and are not an afterthought. 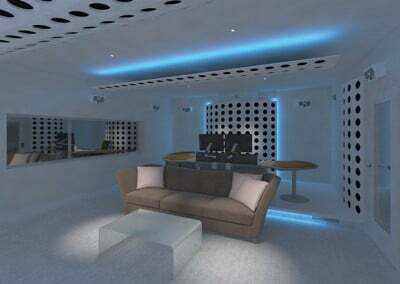 We have designed the modules of Smart Studio™ to be responsive to various methods and techniques of dressing the room. Stretched fabric panels complete with wall and ceiling mounted diffusers are generally the approach we take. 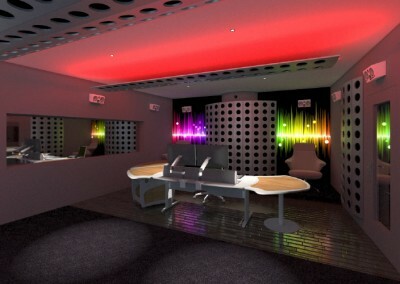 This allows us the ability to design and tune the room both acoustically and aesthetically. 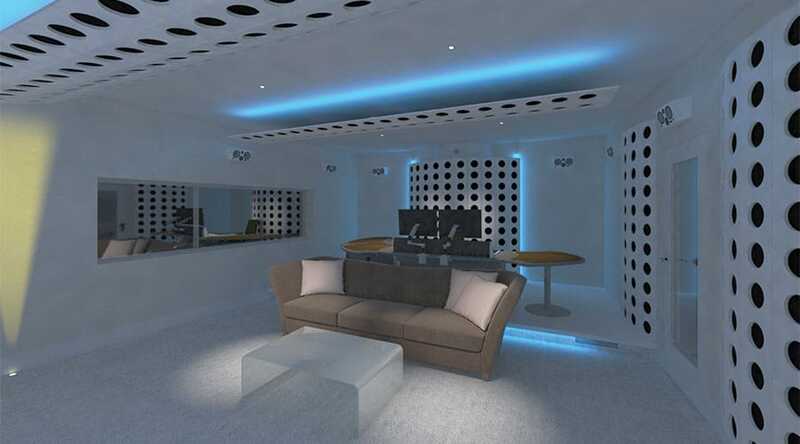 Lighting also plays an important part the final look and impression of a space. This is why the Smart Studio™ system supports the location of feature and operational lighting to suit your application and requirements. 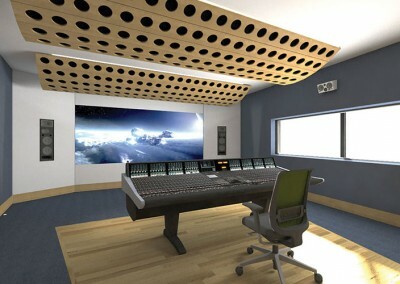 Conventional studio build techniques are notorious for the disruption they cause to an existing facility. The dust, the dirt, the noise and the time it takes to complete project. 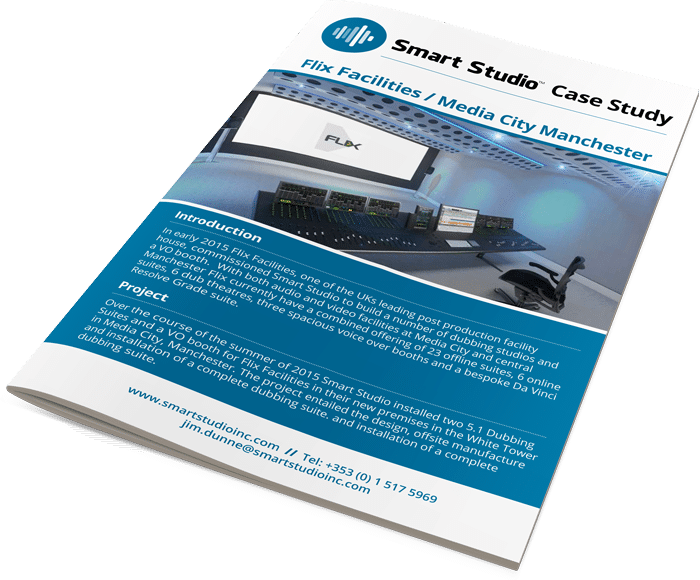 Smart Studio™, with its pre-built modular components, avoids many of the unwanted side effects of the conventional studio build which can cause havoc in a busy work environment. Therefore a less disruptive studio build is the outcome. Smart Studio™ reduces the number of external third parties involved in the studio design process as there is no need to involve other construction professionals such as architects, project managers, M&E consultants, interior designers etc. By reducing the number of people involved in the studio design process, a closer relationship between Smart Studio™ and our customers is achieved which results in our client’s needs being better matched and delivered upon. Smart Studio™ provides full customisation options while retaining the key advantage of predictable costing and installation time. Acoustic specification and layout are agreed upon. Then it’s just a matter of finalising the interior finish details and off we go. No big deal. We’ll leave all the drama to your people in sound and pictures department. The advantages of Smart Studio™ as outlined above provides for a simpler and more effective studio design and build process.